An excellent opportunity has arisen to purchase an existing well-known drainage and plumbing franchise in Glasgow. This profitable business has been run by the current franchisee for the last 13 years and has currently has a turnover of £1.2 million. 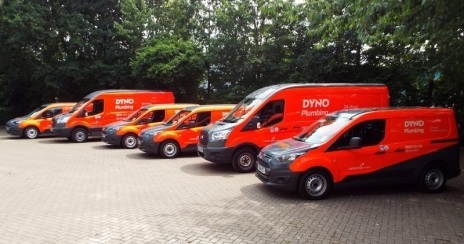 This franchise operates both the Dyno Plum and Dyno Drains brands. The business is situated in southside of Glasgow and trades from a leased storage facility within the territory. As a Dyno franchise the business receives leads for a number of key accounts which are provided by the franchisor and British Gas. The franchise employs a team of 23 staff which includes - drain engineers, plumbers and office staff. The current franchisee is selling the business as a result of the untimely death of the owner. To find out more about this Dyno franchise for sale in Glasgow, please fill in the form below. We can answer any questions you may have about the business before expressing an interest in it.